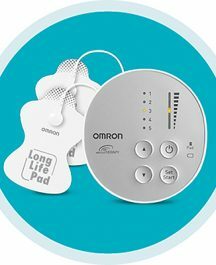 Order all the books above for $199—save $16 plus save the additional $10 S&H for a total savings of $26! In Super Immunity, world-renowned health expert and New York Times bestselling author Dr. Joel Fuhrman offers a nutritional guide to help you live longer, stronger, and disease free. Dr. Fuhrman doesn’t believe the secret to staying healthy lies in medical care—rather, the solution is to change the way we eat. 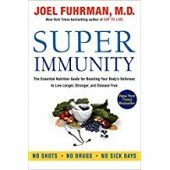 With more than 85 delicious, plant-based recipes, a two-week menu plan, and lists of super foods that boost immunity, Dr. Fuhrman’s proven strategies combine the latest data from clinical tests, nutritional research, and results from thousands of patients. Fans of natural health will appreciate Dr. Fuhrman’s practical plan to prevent and reverse disease—no shots, drugs or sick days required! Easy to understand for nonmedical readers. Softcover, 304 pages, $14. 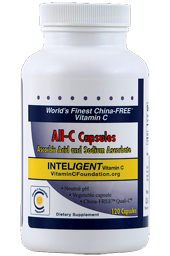 Here is an amazing three-step guide to eliminate arthritis disease naturally. 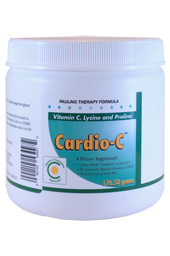 Arthritis is the most common cause of disability in the world—greater than both back pain and heart disease. One example, rheumatoid arthritis, is the most common autoimmune disease, affecting 1% of the U.S. population, and almost 68 million people worldwide. Conventional medicine tends to treat arthritis with strong, gut-damaging, immune-suppressing pain medications, temporarily relieving the symptoms without addressing its causes. 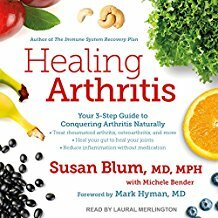 Now, in her groundbreaking new book, Dr. Susan Blum offers a better approach to healing arthritis permanently. Dr. Blum’s three-step protocol is designed to address the underlying causes of the condition and heal the body permanently by treating rheumatoid arthritis and osteoarthritis, healing your gut to heal your joints and reducing inflammation without medication. Hardback, 368 pages, $25. Here is the first book to address emphysema and chronic obstructive pulmonary disease (COPD) from a nutritional and alternative medicine approach—something mainstream doctors don’t do. It explains the benefits of detoxification, dietary changes, and food combining and details 45 suggested herbs and 26 nutritional supplements as well as information on how to stop smoking. 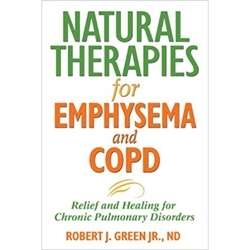 In Natural Therapies for Emphysema and COPD, Robert Green shows that alternative wholistic therapies ranging from herbs to homeopathy offer great promise in relieving COPD’s debilitating symptoms. Softcover, 196 pages, $16. Maverick physician K.P. 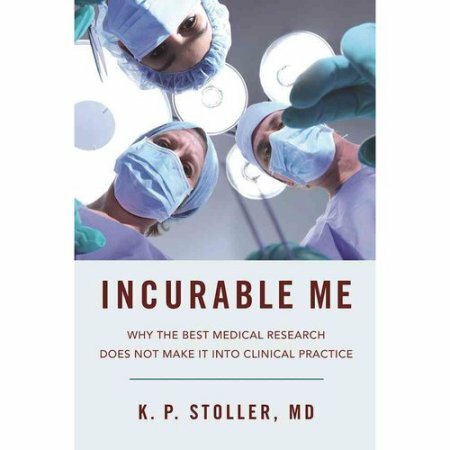 Stoller brings transparency to some of medicine’s most closely guarded secrets. As he establishes a link between commerce and medical research, he also explains how to treat some of the most worrisome diseases and conditions afflicting humans today—including Lyme disease, brain trauma, dementia, and autism. Dr. Stoller maintains that the best evidence in medical research is not incorporated into clinical practice unless the medical cartel has the potential to make large amounts of money promoting the results of the research. Stoller takes his provocative argument a step further, maintaining that if specific research conflicts with a powerful entity’s financial interests, the likely result will be an effort to suppress or distort the results. Stoller cites numerous examples, including corporate influence on GMO labeling and public health. Stoller also explores how “revolving-door-employment” between the Centers for Disease Control and large pharmaceutical companies can affect research results— as well as our health. Hardcover, 216 pages, $25. The Internal Revenue Service sends chills down most people’s spines, and for good reason. Every year they seize tens of millions of dollars in cash, wages, bank accounts, houses, businesses and cars. Now, a 33-year IRS veteran tax collector is ready to tell his story. 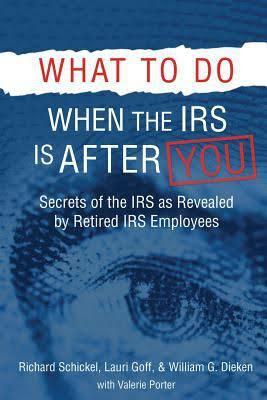 Richard Schickel’s memoir IRS Whistleblower shares the secrets about the culture of the IRS, its procedures, and how they train their employees to think. It tells about the Social Security loophole that allows people who have never paid in to receive benefits for life—and many more IRS secrets. Softcover, 326 pages, $20. 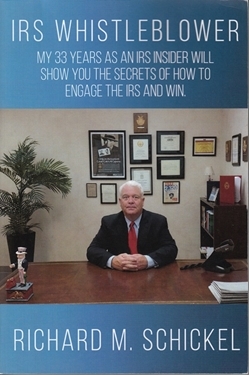 This book tells you how to resolve your IRS problems and reclaim your life. It shows you practical strategies of how to avoid wage and bank seizures, and save your business, your job, your car, and your home. For the first time ever, three newly retired IRS agents dare to share the secrets of how the IRS works. After serving for 33 years at the hated agency, Richard Schickel decided to blow the whistle and dedicate his life to teaching others the ropes. All of their clear advice is key to getting a favorable resolution to your tax problems. Softcover, 326 pages, $20. Conventional healthcare is no longer working in your favor. Thankfully Dr. William Davis is. Dr. Davis changed the lives of millions of people by teaching them to remove grains from their diets to reverse years of chronic health damage. 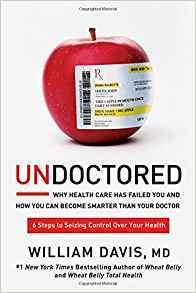 In Undoctored, he goes beyond ousting grains to help you take charge of your own health. This groundbreaking exposé reveals how millions of people are given dietary recommendations crafted by big business, are prescribed unnecessary medications, and undergo unwarranted procedures to feed revenue-hungry healthcare systems. Now, the code to healthcare has been cracked— and this book will help you create a comprehensive program to reduce, reverse, and cure hundreds of common health conditions and break your dependence on prescription drugs. By applying simple strategies while harnessing the collective wisdom of new online technologies, you can break free of a healthcare industry that puts profits over health. Hardback, 330 pages, $25. 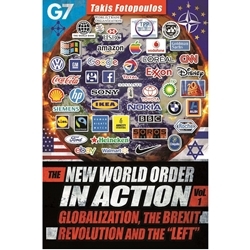 The rise of the NWO and the role of the Transnational Elite—the network of the economic and political elites which administers it—are examined. Furthermore, the mythology used by the elites as well as by the globalist “left” is examined. It was the full integration of the left into the new order which has led to its political bankruptcy and the rise of a neo-nationalist movement, embraced by most of the victims of globalization and particularly the working class that used to support the left. The need for a struggle for national as well as social liberation has become imperative today. In future volumes it will be shown how the use of economic and military violence in the Middle East and Europe was successfully used for the full integration into the NWO of Iraq, Libya, Syria, as well as Ukraine and Greece. Softcover, 354 pages, $18. They secretly meet for 17 days each July in a remote “sacred grove” of ancient redwood trees in the deep forests surrounding San Francisco. Some 1,500 in number, their membership roll is kept secret, but includes the super-rich, blood dynasty member families of the Illuminati, heavyhitting corporate chieftains and high government officials. Mingling among them are a number of Hollywood movie stars, Broadway producers, famous entertainers, musicians, authors, painters, and poets. Great statesmen and—so we’re told—gentlemen. The names you’ll recognize: Former U.S. Presidents William Howard Taft, Calvin Coolidge, Herbert Hoover, Dwight Eisenhower, Richard Nixon, Gerald Ford, Ronald Reagan, George H.W. Bush, and George W. Bush, former FBI and CIA directors, former Secretary of State Henry Kissinger, international bankers, heads of big oil companies, and corporate CEOs frolic in the redwoods. Some of the most famous creative people in history—Mark Twain, Bret Harte, Jack London, Will Rogers, Douglas Fairbanks, Charlie Chaplin, and Art Linkletter—all “let their hair down” here. There are stories . . . some of them too strange to believe. Tales of global leaders plotting the world’s destiny there in secret “war rooms,” hand-picking presidents and future leaders from the Bohemian Grove. Reports of occult rituals being conducted by these same powerful men, clad only in hooded red, black, and white robes, offering an effigy of a human being to be sacrificed by fire to a towering 45-foot stone owl god. Sometimes, they discard the robes, don women’s clothing and parade around onstage in theatrical productions or—if the spirit so moves them—they wear no clothes! But is any of it true? 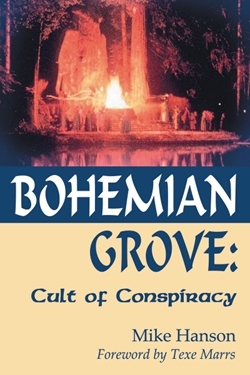 This book proposes to answer many of the most frequently asked questions about Bohemian Grove, investigate the rumors, fully document what is known to be true, and destroy a few misconceptions. Softcover, 448 pages, $28. Did the “Islamic State” spring full-blown into spontaneous being as the fanatical scourge of the Middle East, or was it helped along by state sponsors? In ISIS Is Us, a panel of cutting-edge researchers tells what ISIS really is, and what has been going on secretly in Iraq, Syria, and Libya. The conclusion: ISIS is Iran-Contra all over again. In the 1980s, the Reagan administration wanted to topple the government of Nicaragua, using right-wing mercenary death squads, based in Honduras. But Congress passed a law prohibiting that. So they went around it, by financing the Contra army via Iran. Three decades later, Washington hawks wanted to topple the elected governments of Libya and Syria, and crush the popular resistance in Iraq. Once again, they planned to do this using death squads. They got around Congress by having Qatar and Saudi Arabia finance it. To set up ISIS in Iraq, they sent Ambassador John Negroponte to Baghdad in 2004—the same man they sent to Honduras as ambassador from 1981 to 1985. Then in 2011, the U.S. strategy planners sent some of those killers from Iraq to Libya to overthrow Qaddafi, with NATO air cover. From Libya, they were sent on to Syria to start the killing there, in a war directed by Negroponte’s man, Ambassador Robert Stephen Ford. Over the next couple of years, the embedded mockingbird media perversely pinned the killings of civilians on Syria’s Bashar al-Assad. Only Russia’s UN veto spared Syria. Still, the sheikhs kept on financing the “rebels”—and the U.S. pretended to fight them—until they grew into the ISIS terror army. Today, in spite of Russian military intervention, ISIS and its backers are not giving up. Even Fox News is saying the U.S. coalition against ISIS is a myth. That was shown quite clearly when the Russian military hit more ISIS targets in a week than the U.S. and its allies did in two years. 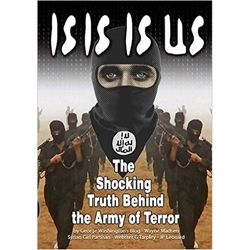 The authors of ISIS Is Us dig deeper and look harder than any to bring you the full story that is being hidden by the U.S. government and twisted by CIA-controlled media outlets. Softcover, 270 pages, $20.